Government education agencies are under the supervision of the Ministry of Education, Sports and Culture. ensure adequate availability of education for special needs; and strengthen management of the education system. There are seven years of compulsory education starting at the age of six. Primary school comprises seven years and secondary six, with cycles of four and two years. There are ten state primary schools, two on the island of Vaitupu and one on each of the other eight inhabited islands. 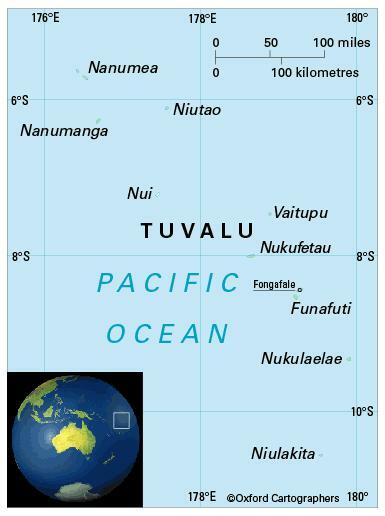 There is one state secondary boarding school on Vaitupu, with about 600 students, and one private secondary school run by the Congregational Christian Church of Tuvalu. The school year starts in February. The Maritime Training Institute on Funafuti (founded in 1979) provides vocational and technical training for those seeking employment on ships and fishing boats and in-service training for serving seamen. The Technical Education Centre offers training in building trades, while Tuvalu is a partner in the regional University of the South Pacific, which has its main campus in Suva, Fiji, and a campus on Funafuti.